In a trial that's expected to last two weeks, plaintiff's lawyers are arguing that Texas' voter ID law is designed to neutralize the voting power of Texas’ growing minority population. But lawyers with the AG's office say that the law is focused on stamping out fraud. CORPUS CHRISTI — The U.S. Department of Justice and other plaintiff's attorneys began their challenge Tuesday in federal court to Texas’ stringent voter ID law, the first national test of such laws that have surfaced following a Supreme Court ruling that cleared the way for such measures. Six plaintiff’s attorneys made opening statements in the case, arguing that the law is designed to neutralize the voting power of Texas’ growing minority population. Lawyers from the Texas attorney general’s office countered that the plaintiffs have offered no proof that minority voters were being unfairly edged out of the voting process and that the law helps stamp out fraud. The trial over the law, which has been enforced through two elections since 2013, is expected to last two weeks before U.S. District Judge Nelva Gonzales Ramos makes a decision. Elizabeth Westfall of the Justice Department's Civil Rights Division, the first plaintiff’s attorney to make an opening statement, said that 787,000 Texas voters do not have acceptable photo identification to vote now. “And Hispanics and African-Americans make up a disproportionate share,” she added. Chad Dunn, who represents several minority plaintiff’s groups, and U.S. Rep. Marc Veasey, D-Fort Worth, said in the packed courtroom that the more than 500,000 Texans without proper ID will lose their right to vote under Senate Bill 14 —more than entire voting age populations in six states. He and other plaintiff’s attorneys said that lawmakers who championed the voter ID law have said it was needed because of voter fraud. They countered that in-person voter fraud is virtually nonexistent. Danielle Conley, who represents the Houston-based Texas League of Young Voters, said SB 14 shares a “kinship” with Texas’ history of discriminating against minority voters. But lawyers from the attorney general’s office countered that plaintiffs were presenting “siloed data” and that the law is indeed a weapon against fraud. The law, Clay said, helps rein in the bloat in voting rolls, caused by the “unknowable” number of deceased voters and the number of people who have moved from the state. Although the Texas voter ID law was passed in 2011, it wasn’t implemented until 2013, after the Supreme Court removed the 1965 Voting Rights Act requirement that states like Texas must get federal approval for any changes to their voting processes. 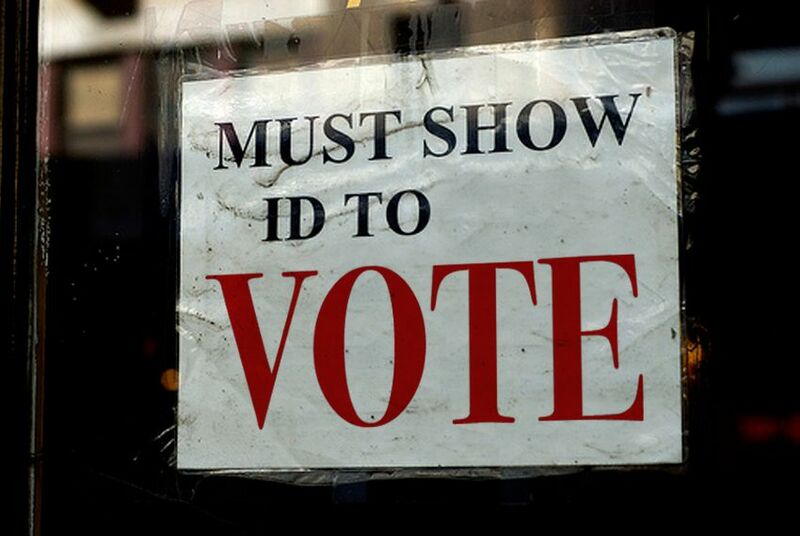 Texas voters must now show a photo ID to vote in elections unless they are exempt. a U.S. citizenship certificate with photo. If an eligible Texas voter does not have an acceptable form of photo identification, he or she must apply for an Election Identification Card, or EIC, from the Texas Department of Public Safety, the same place residents receive their driver’s license or Texas identification cards. To get an EIC, a Texas resident who is qualified to vote in Texas must bring documentation that verifies U.S. citizenship and identity, such as a birth certificate. A Texas resident must also bring a valid voter registration card. After opening statements Tuesday, plaintiff’s lawyers presented witnesses to support their argument that the voter ID law is arduous and confusing, particularly for older voters. In a video deposition, Mississippi-born Sammie Louise Bates, who came to Texas via Chicago in 2011, talked about how she cast a provisional ballot in 2013 because all she had was her Illinois identification card, which she used to buy insurance and open a bank account in Texas and get a library card. Bates said she couldn’t get her birth certificate from Mississippi in time for the election to get a photo ID that was acceptable, because of the cost: $42. Beaumont Deputy Fire Chief Calvin Carrier testified about the obstacles his father, an Army paratrooper who served during the Korean War, still has to get proper photo ID to vote. His father Floyd Carrier’s birth certificate had the wrong name, date of birth and race listed. His father still lacks a proper photo ID to vote. “He stated to me he couldn’t believe that after serving his country in the war, all the Social Security he’s paid working his entire life, he was denied the right to vote for a simple card,” Carrier said. Lawyers from the AG's office will present witnesses after the plaintiff's side concludes with their witnesses. *A previous version of this story incorrectly said a photo ID was required to get an EIC.